At least 743 children along with their mothers are being held in Turkey’s prisons, a report released by the Human Rights Association (İHD) revealed. 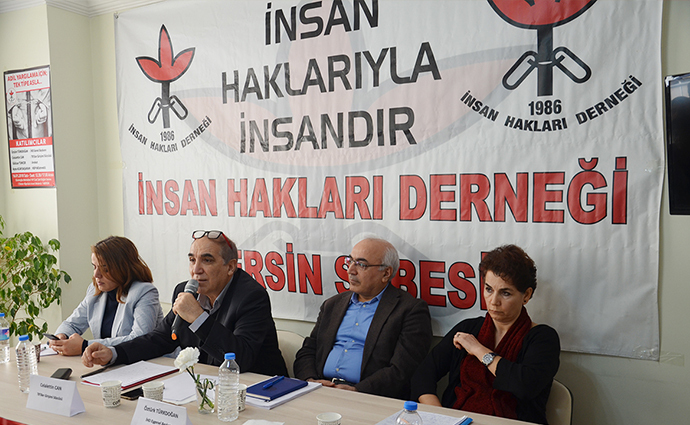 Ercan Yılmaz, a lawyer and an official from the Diyarbakır branch of the İHD, said the children who are jailed with their mothers due to a crime they have not committed are subjected to a number of rights violations in prisons. Mothers of most of the children in Turkish jails have been arrested as part of a government crackdown on followers of the Gülen group in the aftermath of a failed coup attempt in Turkey on July 15, 2016, and most of them are in pre-trial detention and not yet convicted of a crime. The Turkish government accuses the Gülen group of masterminding the failed coup, which claimed the lives of 249 people, although the movement strongly denies any involvement.